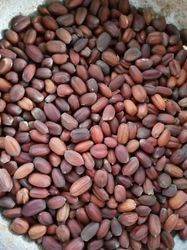 Jojoba oil is present in the seeds of jojoba in the form of liquid wax.This golden yellow oil is a clear oil and is used as an alternative to cetyl alcohol. Jojoba oil is also a fungicide and helps in their control. Jojoba oil is indeed a blessing as it is rich in important vitamins and minerals, including vitamins E and B-complex, zinc, copper, selenium, chromium, and iodine. 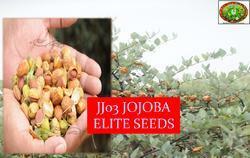 We deal in freshly harvested Jojoba seeds, that originates from the Ganganagar, Rajasthan Belt. The moisture level of the seeds ranges between 8-10%.